“The archive is either in unknown format or damaged”. Those are the last words you ever want to see on a computer screen because they immediately send chills down your spine. After you’ve spent so much time and bandwidth downloading an archive, finding out that it cannot be opened at all can cause a lot of stress. There are several causes for this, but the most common ones are that the archive didn’t download properly, or that the media, such as disc or USB, on which it was stored is damaged. If downloading or copying the archive again produces the same error, it’s possible that the archive itself is corrupted. In that case, you will need one of specialized .rar repair utilities. You should try the using the repair archive feature in WinRAR. 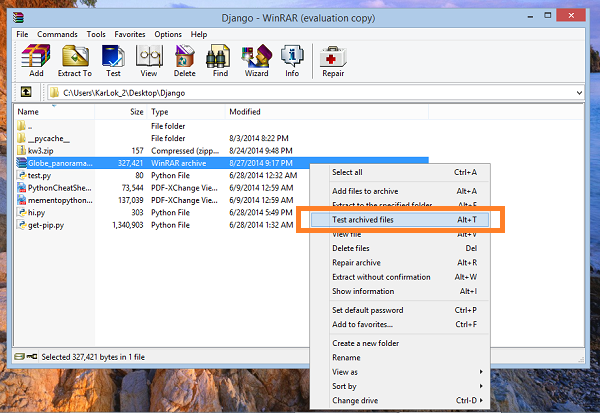 Firstly, open WinRAR, right click on the corrupted archive and select Test archived files. Then, select Treat the corrupt archive as RAR and press OK. Still doesn’t work? Here are the top 4 RAR file recovery software that you should try next. Good luck! 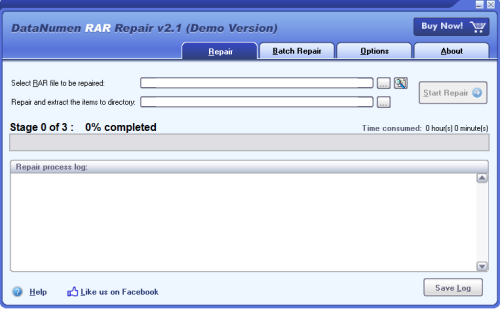 As can be seen from the screenshot, Remo Repair RAR is as simple as it gets. Its interface is extremely minimalistic, with bright colors and blocky buttons. By clicking “Browse”, you can point Remo to a corrupt archive, and then click the “Repair” button. Remo’s algorithm will begin processing the archive and show which files and folders were in the archive originally. Then, some or all of those files and folders can be saved. However, note that the demo version does not have that last step, the possibility of saving – it can only read corrupted archives. To save files, you will need to purchase the full version of Remo. This is overall the best .rar recovery tool on the market, mainly because of its ease of use. Its interface works very well with any tappable operating system, such as Windows 8. Every other program carried with it a wealth of options that can confuse and distract the average user, but with Remo, this process is streamlined completely and leaves no chance for user error. DataNumen is an extremely well-rounded .rar recovery tool. It supports encrypted, multi-volume and solid archives, command line parameters, batch processing and so on. In short, it contains a wealth of options for the entire spectrum of users, from novice to professional. In fact, the official website touts DataNumen as a forensic analysis tool for examining archive files. Just by working in it for a while, you will tend to agree with that statement. The downside is its price. It’s entirely too expensive for a casual user, but if you’re in need of some heavy-duty archive repair, then DataNumen is the perfect tool for you. Otherwise, keep looking for something else that is much more accessible. SysInfoTools’ archive recovery tool offers a wide variety of options, the most of all programs. From the start screen, you can choose one of 5 archive types and then either let the program scan the computer and find them for you, or choose them yourself. It supports recovery of archives protected by passwords, those created on Mac OS or with the Zip64 algorithm and does not destroy the original file during the recovery process. 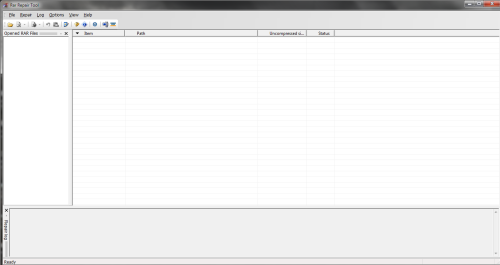 The demo version of this recovery program does not allow for saving of the damaged archive file, only viewing them. 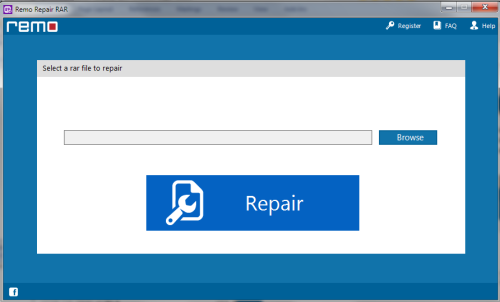 This is a very reliable and useful program which fits nicely with the rest of SysInfoTools’ lineup of computer repair utilities. This program is easy and quick to use, but it unfortunately has a lot of limitations as is. For starters, it does not support anything past Windows XP, so making it run on newer operating systems is guaranteed to cause a lot of problems. To install it, you will need to download the .zip archive, extract the contents and then run the installer from the archive. This is inappropriate for such an expensive product. Running an installer from an archive is unbecoming for any kind of commercial software. The trial version will run for 30 days and then deactivate itself unless you purchase it. Also, the free version cannot handle any damaged archive larger than 5 MB, which is pathetically small. Rar Repair Tool does support batch processing of files, but with all the drawbacks it has, that’s not a particularly strong benefit.